Aber Corris Nature Reserve Nature ReserveThis is one of very few areas of ancient broadleaved woodland left in the Corris valley. Though originally it would have been predominantly oak with birch, and alder in the wetter parts, it has become invaded by sycamore, as left to itself this is more successful at regenerating than the preferred native oaks. Other unwelcome colonists that tend to shade out the more interesting plants are bracken, rhodedendron and Japanese knotweed. The last two are exotics, rhodedendron being widely planted in the 18th and 19th centuries but now running wild, whilst the knotweed was a 19th century introduction from the Far East which grows excessively in damp woodland. The river is a spawning ground for salmon. There are plenty of scenically wild places to explore in the vicinity. From Corris village a lane follows the Afon Dulas up into the Dyfi Forest. On the way there are forest trails near Aberllefenni. Two miles north of the reserve is the start of the south easterly approach to Cader Idris which takes you up past Llyn Cau. For those who don't fancy the climb, turn south westwards down the B4405 alongside Tal-y-Llyn lake. This lake fills a hollow on the flat glacially eroded valley floor - a valley whose straight direction is a result of following a major fault in the earth's crust. 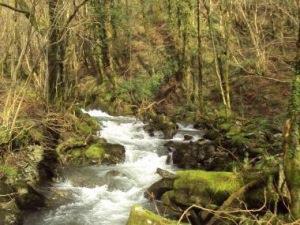 About three miles south of the reserve on the A487 is a tourist attraction of appeal to all those who are environmentally concerned - the Centre for Alternative Technology. ACCESS: Open all times from the public footpath that runs through it. PARKING : Pull-in off the A487 about 1 mile south of Corris Uchaf. 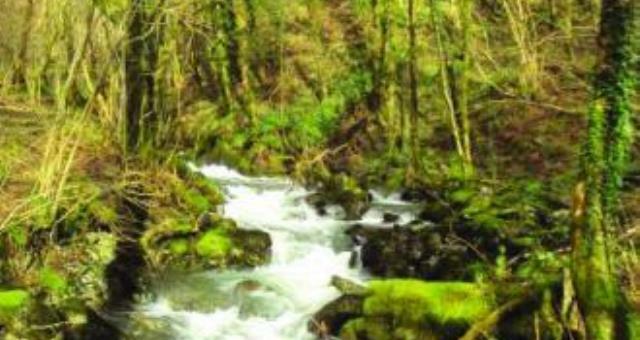 This reserve is easily found just across the river from the A487, half way between Corris and Corris Uchaf. Park in the layby on the east side of the road and take the public footpath over the river.